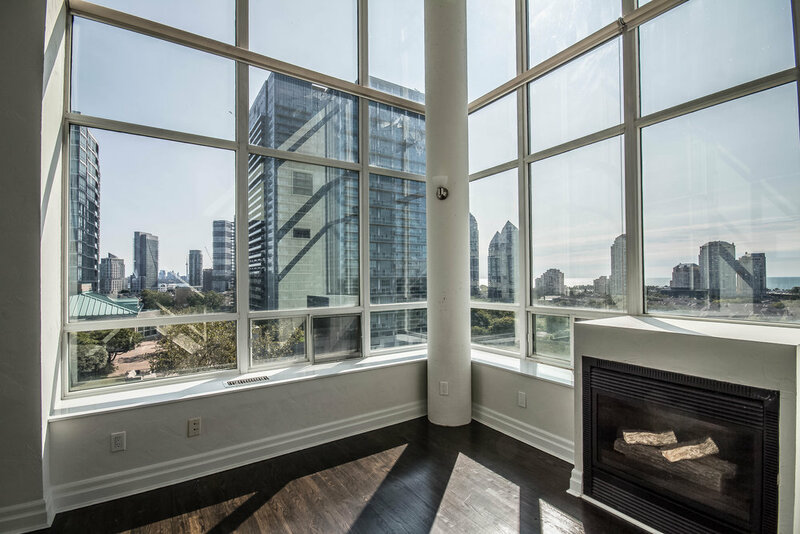 Imagine you're currently in the market for a rental condominium. You're looking for something that's rare, something that isn't cookie cutter, you want your friends to be just a 'little' jealous. What if I told you, that 'not so' cookie cutter suite exists. 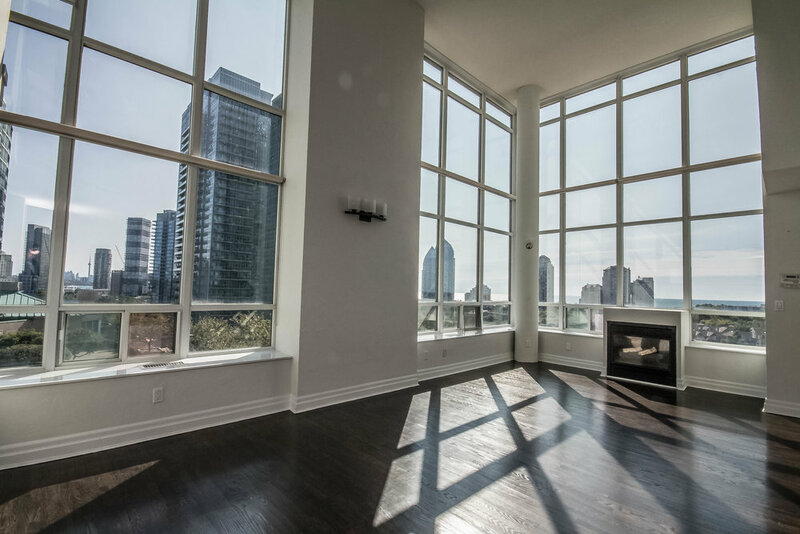 What if I told you it was over 1700 sq ft and located in one of the sweetest boutique buildings in Toronto? Would you believe me? 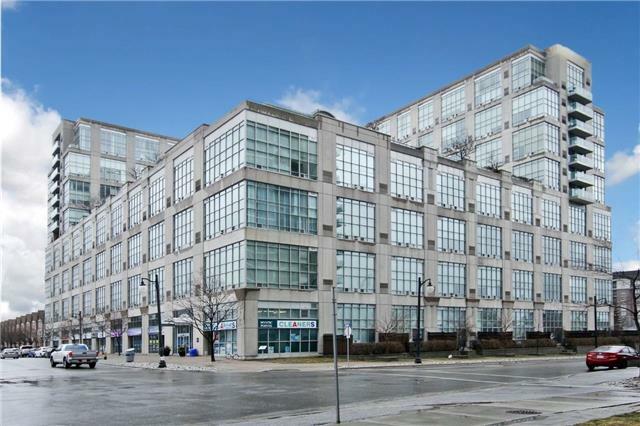 Welcome to suite 606 at The Warehouse Lofts in Mystic Pointe. 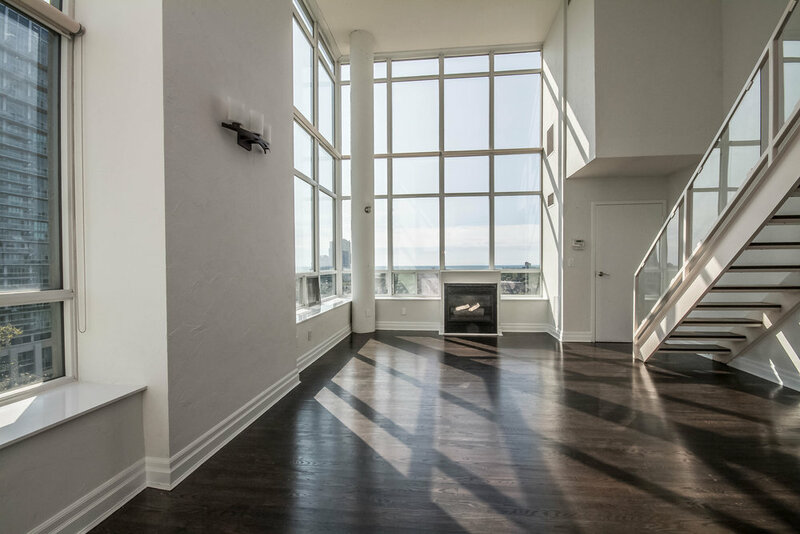 Featuring two storeys of incredible light and space. 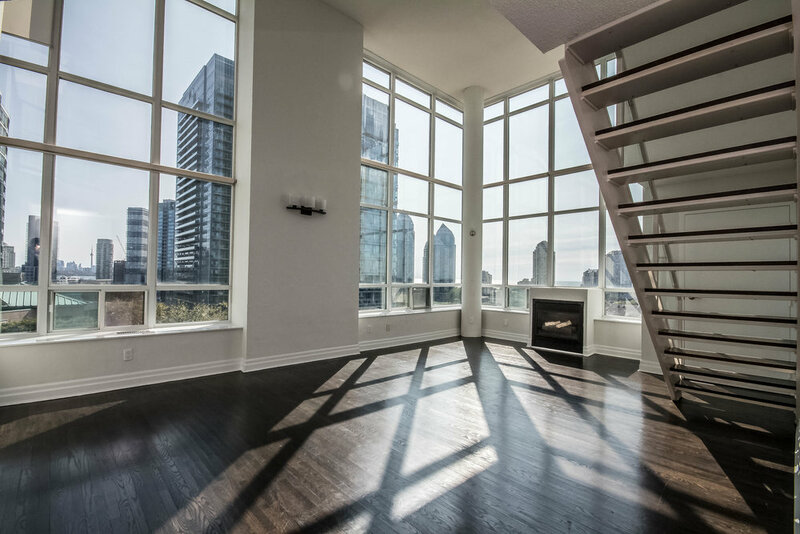 Suite 606 rivals some of the hottest suites in Toronto, from its gas fireplace, gleaming hardwood floors, three spacious bedrooms, two full bathrooms, you'll be inspired every day you live here. Imagine waking up in the morning and enjoying a cup of coffee in your favourite mug. As you walk from the eat-in kitchen with stainless steel appliances and sleek black granite counter-tops you make your way into the living room. You pause, take a sip of coffee, raise your head and look ahead. 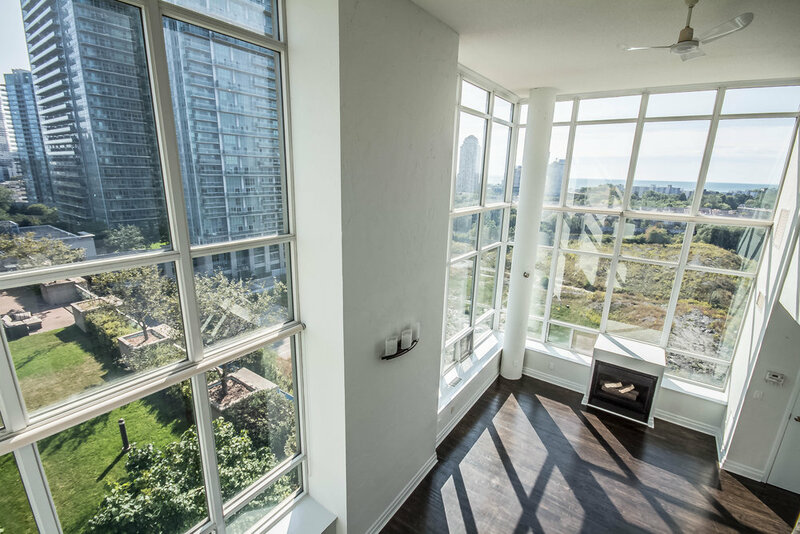 There you'll find an expansive view of Toronto and lake Ontario through the sheer 14 foot high floor to ceiling glass windows. Warning, you may be stuck in a momentary state of awe! You've got to live someplace. Why not live someplace memorable! What's included with suite 606?